This blog post includes affiliate links. For more information please visit my disclosure page. Recently, my book Simple Steps For Living Life: Out On Your Own was accepted to Amazon. It was an exciting day when I checked the website for it and viola! It was there. I’m my mind confetti was thrown up in the air and a thousand balloons were release into the air. So I told my husband the great news, and one of the next people I called was my dad. Without them both, this book would never have been finished. Then I found out my dad had never ordered from Amazon. See, there ARE people that have never ordered from Amazon before. And if you are one of those people, you aren’t alone! This article is for you. 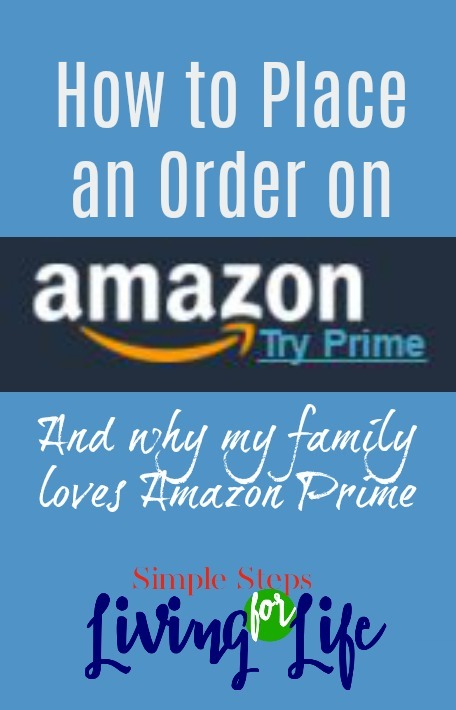 It’s step by step instructions on how to order something on Amazon along with 300 million other users, making it the #1 shopping website in the world. #3 In the search bar, type in something you are looking for. This is done by either clicking on the photo or clicking on the title of the item. #5 Verify the quantity and select the “Add the Cart” button. Make sure you have verified this is the item you are wanting. Also notice just above this button, it asks if you want Amazon Prime. There’s more information about that at the bottom of this article. Before you complete your order, be sure to read about whether or not Amazon Prime is right for you. #6 At this point, there are three main things you might want to do. A. Keep shopping – type in what you are looking for in the search bar and select the magnifying glass symbol. B. See everything in your cart so far. 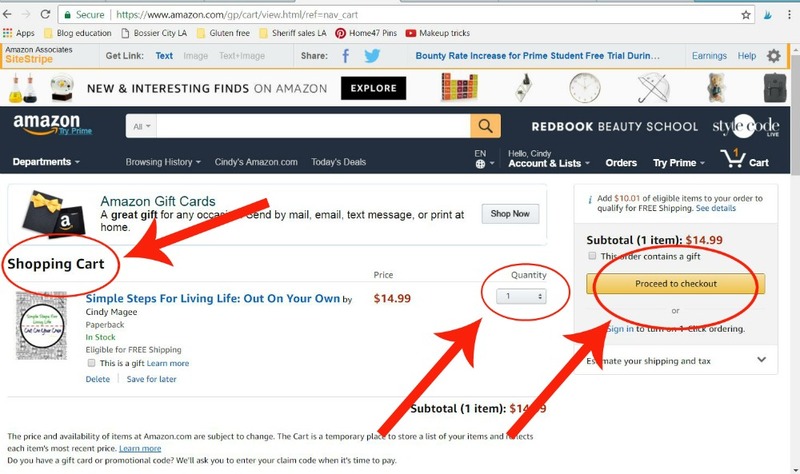 Select the “Cart” button or select the shopping cart symbol near the top right of the screen. (It’s just under the words Style Code.) So far, there is a 1 in the cart because for this article I’ve only put one thing in the cart. C. Proceed to checkout by clicking on that button. 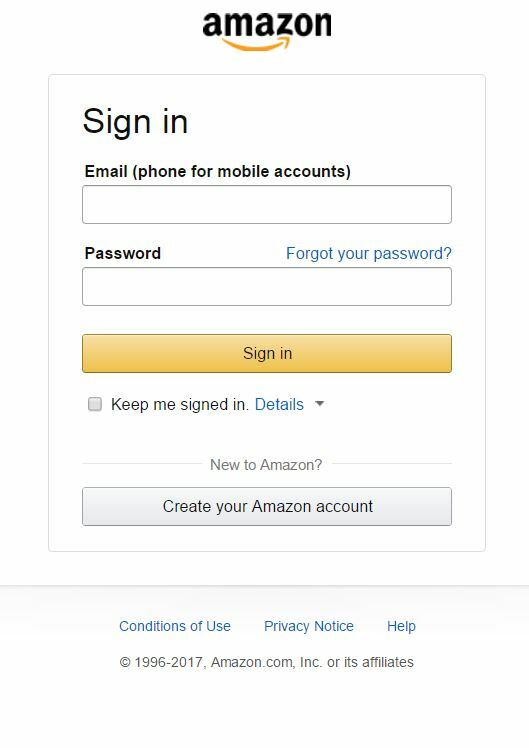 #7 Register for Amazon or sign in. For this step just follow the prompts. It will most likely require you to verify your email address and you will need to follow the prompts for that as well. It’s a little annoying the first time you order something but it generally is so much simpler from then on out. #8 Review your shopping cart. Make sure that everything you are wanting to purchase is in the shopping cart and select “Proceed to checkout.” If there is something in the cart you have changed your mind about, select delete under the item’s description or change the quantity to zero. #9 Select your shipping address or add a new one to use. #10 Select your shipping option and click the “Continue” button. #11 Enter your billing information and follow the prompts. #12 Wait in eager anticipation for your package in the mail. Should I sign up for AMAZON PRIME? 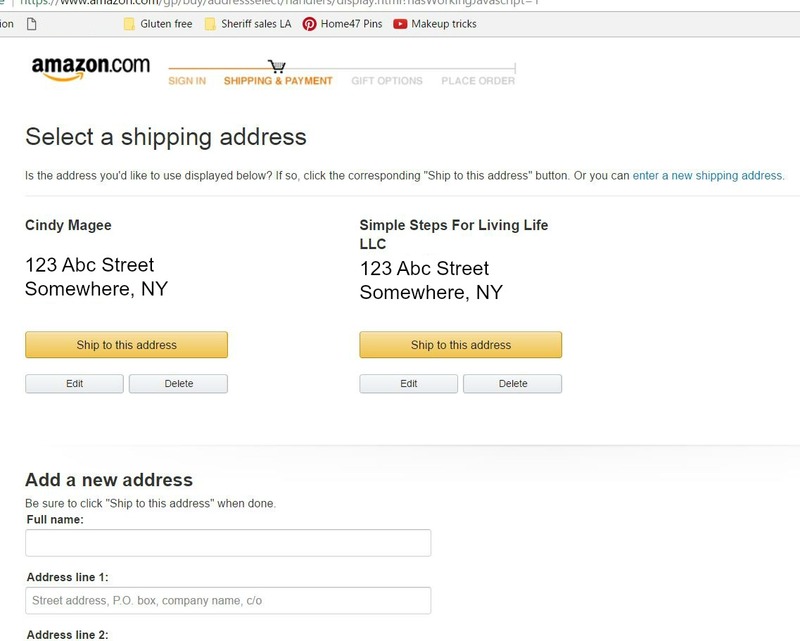 Are you planning to order from Amazon frequently in the future? 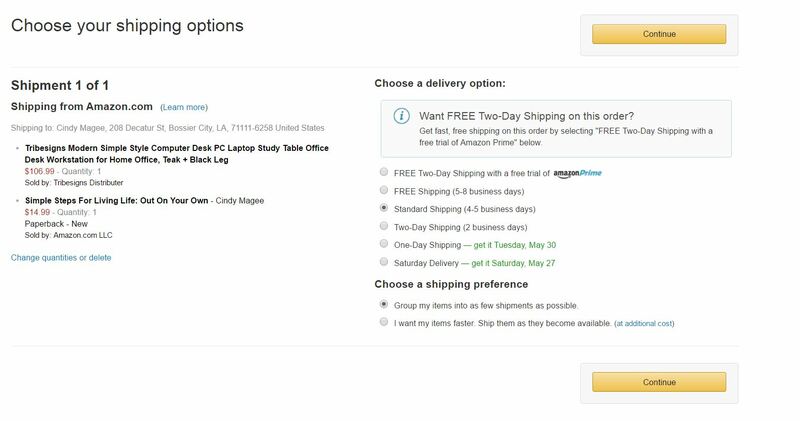 Amazon Prime might be a great option for you. We have ordered everything from computer parts to toys to household goods even diapers when my kids were in them from Amazon. Since a package is delivered to our house on average of every week or every other week, Amazon Prime was a no-brainer choice for us. Also we don’t have cable, and like that we can stream entertainment as part of Amazon Prime. Yep, it’s not all about free shipping on over 50 million eligible items. Regardless, let’s talk about the shipping savings first. 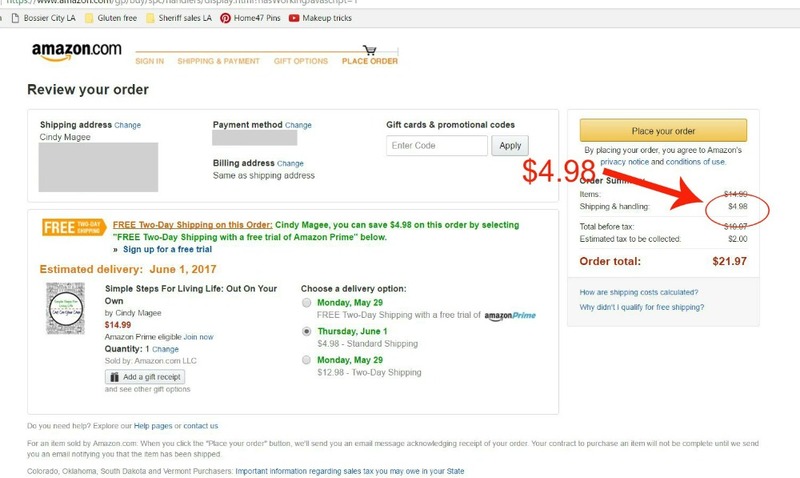 In the screen shot example below, without Amazon Prime the shipping is $4.98 with just ordering a book. So if you know you’ll be ordering 20 books in a year from Amazon then it is worth purchasing. Now, check the next example below for larger items. Prime includes popular movies and TV shows. Make every night a movie night with Prime Video. Your Prime membership includes instant access to thousands of movies and TV shows at no additional cost. We could justify having Amazon Prime because of this alone. 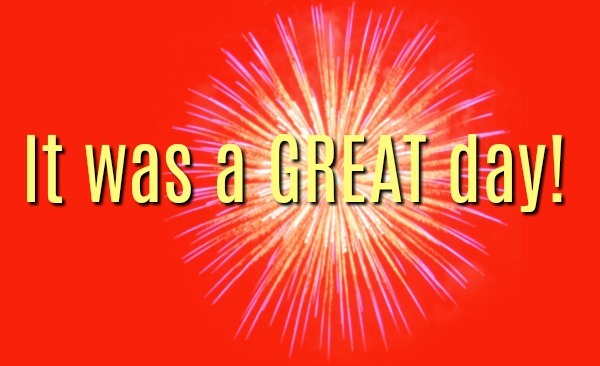 We currently do not subscribe to cableTV but use Netflix which is under $10 a month for us. So having Amazon Prime would be the same or cheaper when just using it for TV entertainment. Note – you’ll need a TV that is able to stream video which is pretty much most all newer TVs these days. Over two million songs. Thousands of playlists and stations. On-demand, ad-free music streaming. Prime Music is a music streaming benefit featuring a growing selection of two million songs, Alexa voice-integration, and personalized recommendations at no additional cost with your Amazon Prime Membership. Unlimited reading on any device. Prime Reading gives you unlimited access to over a thousand books, current issue magazines, books with Audible narration, comics, Kindle Singles, and more. With access from any device – including your phone, tablet, or Kindle – you can read however you want, whenever you want. Unlimited listening to original audio series. Get hooked on original audio series from Audible: hunt for clues with intrepid investigators, think big with bold visionaries, or ‘keep it real’ with fearless comedians. Get free game content every month, exclusive discounts, plus loads more. All your photos, together at last. Your Prime membership comes with free unlimited photo storage through Prime Photos, which lets you securely save as many photos as you like and see them on your phone, computer, or tablet. You can share this Prime benefit and give free photo storage to up to five family members or friends. Prime eligible items, videos, music and Kindle books are clearly marked. Just look for the Prime logo when you shop. 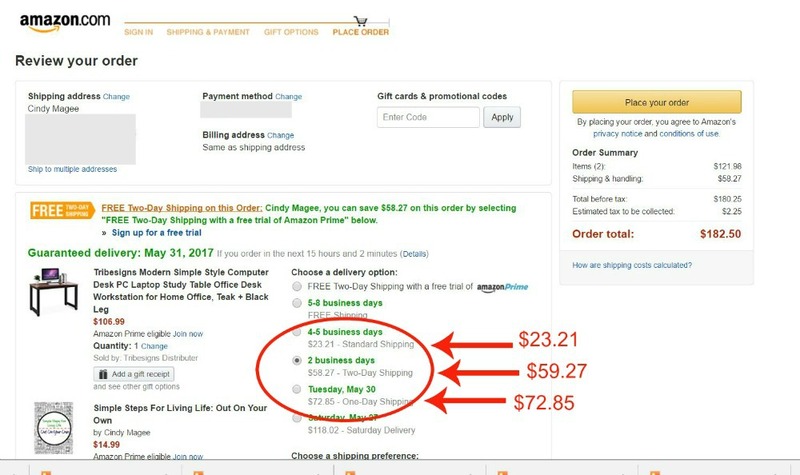 As of this writing Amazon Prime was $10.99/month or pay a year at a time for $99 which averages to $8.25/month. It’s a ton of value for all the services and perks. The shipping savings alone is worth it for us but if you are looking for saving money in other areas like entertainment, gaming, and photo storage, the cost is justified over and over. Sign up for the Amazon Prime free 1 month trial. Be sure to read about the cancellation rules if you decide it’s not the program for you after all.